Southeast Pools is pleased to offer it’s home pool maintenance services to customers in Clermont, FL. Our residential swimming pool technicians are fully certified and highly dependable. If you sign up for one of our full service weekly or bi-monthly service plans, you know that we’ll be there to check and balance the chemicals, make sure the filters are in working condition, and of course, clean your pool so you can swim easy. 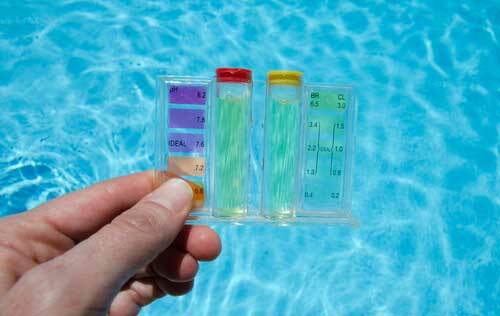 Maintaining your swimming pool involves more than cleaning. We make sure to do chemical checks & balancing (as needed) & cleaning the filters (as needed) to keep your pool running at peak performance. If we notice any problems when doing weekly or bi-monthly maintenance, we’ll let you know. We take pride in our residential pool service and maintenance. Every residential swimming pool is different and in Florida, most people keep their pools in operation year round. Southeast Pools is equipped to provide maintenance and service to all types of home swimming pools in Clermont, FL. From fiberglass & vinyl, to concrete, you can rest assured that we’ll leave your pool looking beautiful and ready for swimming in. We offer different services for homes with an enclosed pools & open air pools and we can even maintain your hot tub! If you want the best quality home swimming pool services in Clermont, FL, you owe it to yourself to contact us or give us a call at 407-507-2570. We will professionaly handle any of your pool mainteance needs. We also provide swimming pool repair services and swimming pool resurfacing & retiling services. We also offer our services in ChampionsGate, Davenport, South Orlando, Haines City, Montverde, Celebration, Reunion, Kissimmee. Often times, when you hire a pool company, there’s fine print that talks about limits on the size of swimming pool they will service. By the time you get your quote, the attractive offer you initially receiving may have doubled. At Southeast Pools, we want to know what what kind of swimming pool you have and the size, from there we’ll create a customized service plan for your swimming pool. You’ll know the exact price and best of all, you know that when we’re done, your pool will be clean and ready for swimming.